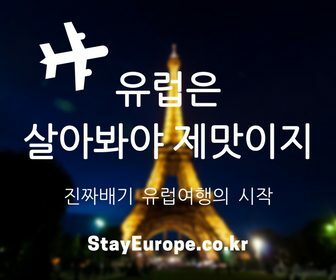 처음 가는 유럽: 런어웨이 유럽 Runaway Europe! 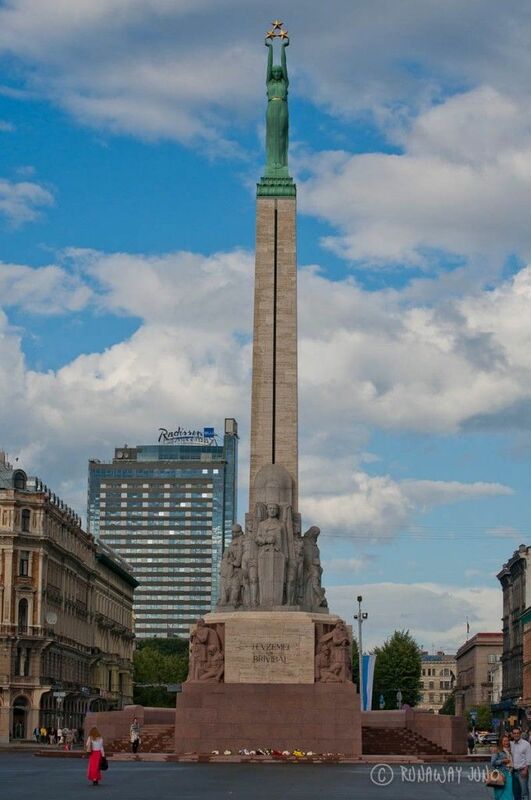 The Freedom Monument has been through tough times of Latvia and still standing tall. It is a memorial that honours soldiers who were killed during the Latvian War of Independence (1918–1920). 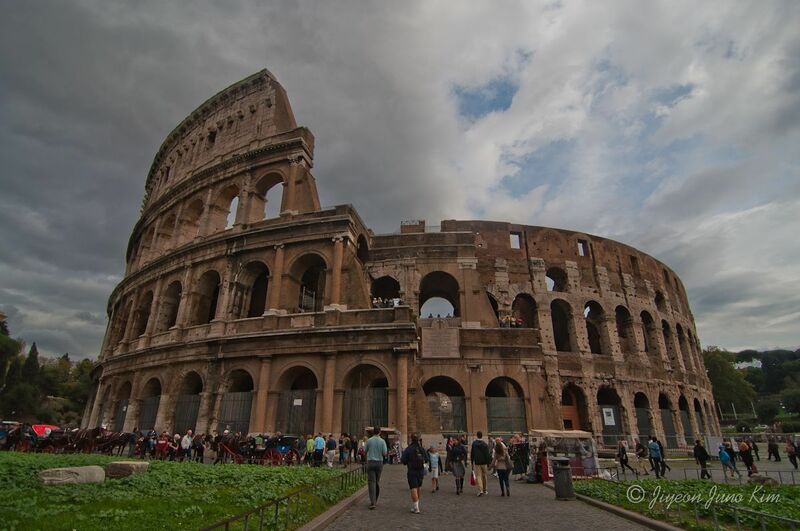 It’s amazing how it survived the Soviet Occupation. 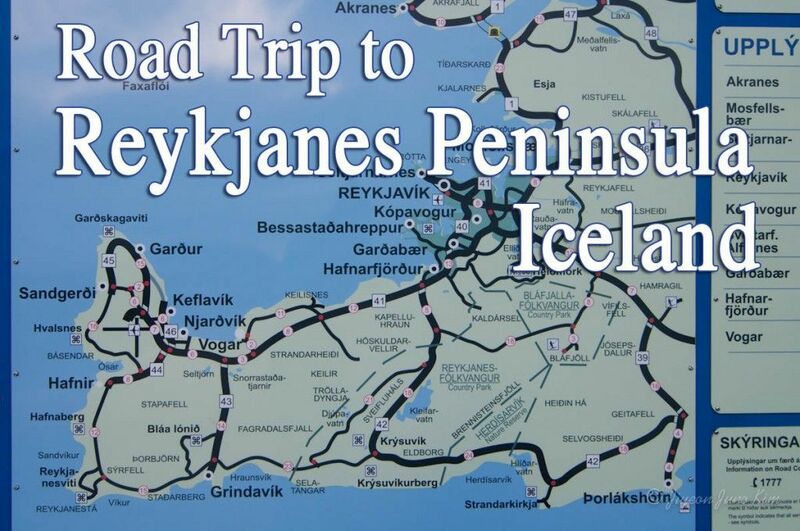 Our tour guide told us interesting stories about this monument. 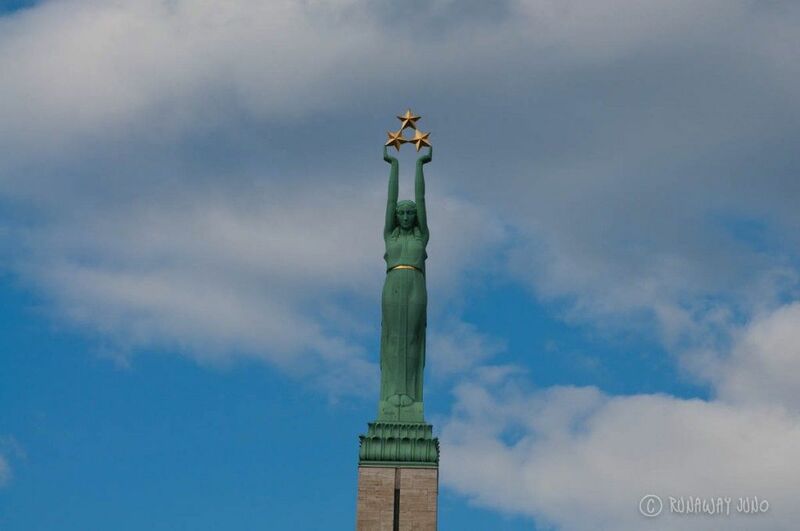 Latvians call the girl, who is holding three stars, Milda. It used to be a common name for the girls, but now it’s symbolizing a patriotic person. The three stars are representing three historic districts of Riga. However in Soviet occupation time the symbolism had to be changed. Milda turned into the Mother Russia, and three stars were the symbol for the three Baltic countries; Estonia, Latvia and Lithuania. A story has been told, a famous Soviet sculptor, Vera Mukhina who was born in Riga, helped to rescue the monument to be taken down. Another interesting symbolism is hiding in the monument. 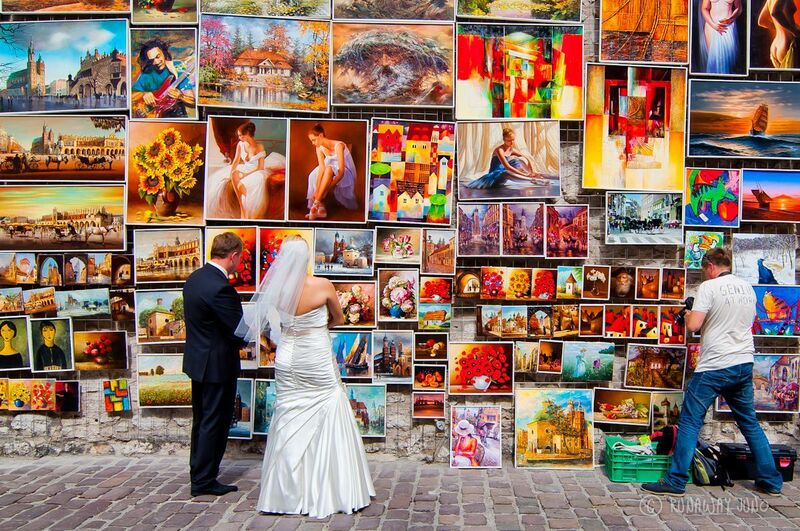 You have to use a little bit of the imagination. If you see the two stars on the bottom and the void between arms of Milda, you can see a ‘T’ shape. Also, try to find a circle shape in the center of the three stars. Put the ‘T’ and the circle together, it looks like a baby; Milda is holding a baby. The baby is a symbol of hope in Latvia. The monument is important to the people of Latvia for many reasons. Since September 2004, the guards also patrol every half hour during their watch: they march off from the base of the monument and march twice along each side of it and then return to their posts. They are required to stand without moving for half an hour. The guard of honor marching is in every half an hour.